A team from the University of Munich has won Elon Musk’s invitational Hyperloop student challenge, zipping its pod across the 1 mile long track at over 360 kilometers per hour. WARR Hyperloop had been one of the favorites for the competition, held last week at SpaceX’s headquaters in California. SpaceX had invited students from all over the world to build a pod that would use Hyperloop’s technology to attempt to cover a one-mile distance in the shortest possible time. WARR Hyperloop emerged the clear winner, touching a top speed of 360 kmph. Second-placed Paradigm Hyperloop managed to touch a speed of 100 kmph, while third placed SwissLoop, a team from ETH Zurich, managed a sedate 39 kmph. Among the 24 member field was Hyperloop India, a team of BITS Pilani students who’d built their pod out of a metro station in Bangalore. 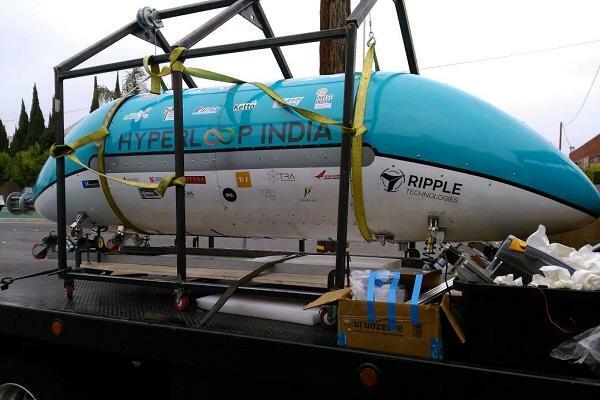 Hyperloop India made it to California, but was unable to race its pod.”(T)he pod and its components couldn’t be shipped in time for the pod to complete all tests and run on the SpaceX track,” said the team in a statement. Hyperloop India had been struggling to raise funds for their project. As little as a month before the competition, they’d started a crowdfunding campaign to transport their pod to the US. Though they’d managed to nab several corporate sponsorships, from government entities such as BEML India and some private universities, the delay meant that the were unable to race on D-Day. The team, though, is looking at the positives. “We are incredibly proud to have built in 2 months a vehicle that is scalable, feasible, and that people can aspire to travel in, in the future,” the team said. The team also hinted at a possible collaboration with Hyperloop One, the US-based startup that’s currently in talks with the Indian government to bring the Hyperloop to India.